At 60 years of age many of us would picture ourselves lying around in a hammock, reading books, sipping on tea, going on some late afternoon rides and enjoying the simpler things in life. Then there’s Marg Noonan. She has an infectious and exuberant personality and is considered a shining light within Australia’s cycling community. Marg is currently Vice President of Australia’s largest masters cycling club, the Southern Masters Cycling Club, reining Women’s Masters 7 National Champion, and in more recent times she organised a highly successful charity ride for the Alfred Hospital. No one is more deserving of being our Cyclist of the Month than Marg. Marg grew up as one of twelve siblings in an environment that was very active and outdoor centric. In her youth she spent many hours water skiing and horse riding with her sisters, but it wasn’t until later in life when she fell in love with cycling. Marg was married and a busy mother of three when she decided to join the local gym. The gym had recently been opened by a family friend of Marg’s by the name of John Harris. John was a devoted cyclist and when he noticed Marg cranking out some impressive wattage on the indoor bike, he convinced her to join him and some friends on a local Brumby’s ride around Melbourne’s Bayside area. As Marg showed up for her first Brumby’s morning she saw a bunch of young fit males, all dressed up in tight lycra and sporting high-end road bikes. Marg was fit, yes, but was wearing baggy shorts with a t-shirt and riding what she describes as an “old rattler”. Unsurprisingly, Marg got dropped within the first kilometre, but the cage had been rattled and her determination to succeed kicked in. After buying some lycra and a proper road bike, she spent the next few months improving her distance on the Brumby’s ride, until eventually she made it all the way around. 15 years on from her first encounter with the Brumby’s group Marg was eager to try out some competitive track racing. She had her eyes set on a track event in 2010 and subsequently started training with a local track coach called Carey Hall. Every Tuesday night Marg and a few other training partners would head down to the outdoor track in Caulfield and do some sprint specific training. Of course, there was also some fun and games with Carey setting up some handicap races between the group. On an evening in December 2009, the group was racing off against each other in a handicap format. Marg was in the lead (of course) but could see Carey’s wheel closing in. She put in a big effort to take the win and in doing so stopped pedaling – “I was just concentrating on going hard to beat the boys”, Marg says. With a trackbike obviously being fixed gear, the momentum of the pedals threw Marg into the air. She flipped and landed directly on the concrete on her head, leaving her out cold. An ambulance was called and Marg was off to hospital in a critical condition. The list of injuries was long: Internal bleeding to the head which required a Craniotomy, a broken clavicle which became like two goal posts, a broken scapula, six broken ribs, a punctured lung and the fourth thoracic vertebrae done over too. In fact, because Marg’s head injuries were so severe the doctors at the Alfred Hospital could not operate on her straight away. Instead Marg had to have separate surgery weeks after the accident. After almost two weeks of being tied to patient monitoring systems, neurological machines and drifting in and out of consciousness, you would think Marg would be done with cycling and bike racing altogether. Yet this unfortunate circumstance would lead to one of Marg’s greatest personal achievements. While Marg was recovering from severe head injuries in the Alfred Hospital, she had been taking note of the hospital staff’s incredible work ethic. An outstanding surgeon by the name of Peter Wang, along with many supportive nurses and peripheral doctors, had blown Marg away. She was incredibly warmed and inspired by the care she received, motivating a desire from within to somehow pay them back for their efforts. As recovery continued at home, Marg reflected on the injuries she has suffered and the compassionate care the Alfred Hospital had provided. “How can I pay them back?”, she thought. While some would refrain from the thought of ever cycling again after such horrific injuries, Marg was focused on getting back on the bike. 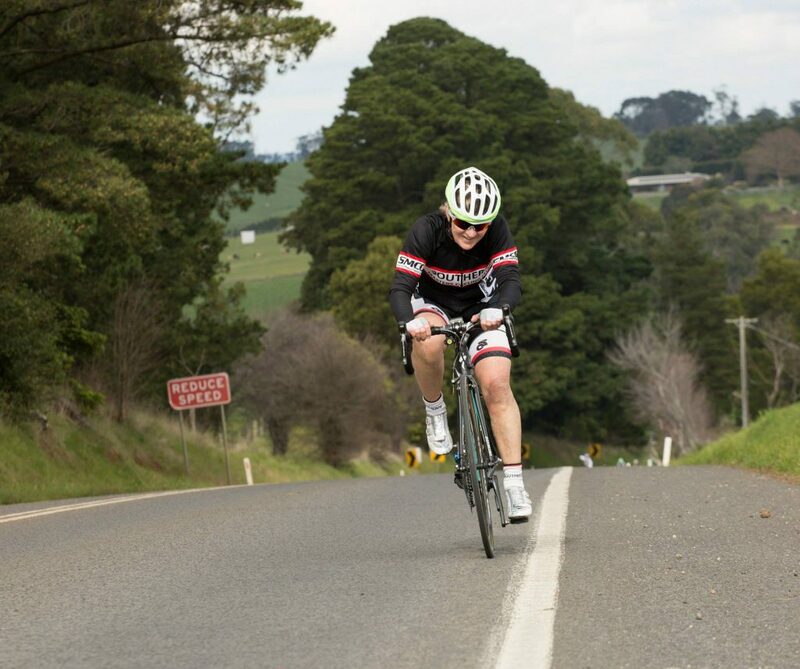 Before the accident, Marg had participated in a challenging and highly enjoyable ride from Adelaide to Melbourne. So with this mind, she started strategising about a ride from Adelaide to Melbourne to raise funds for the Alfred Hospital’s neurology division. Marg and her Headride crew. 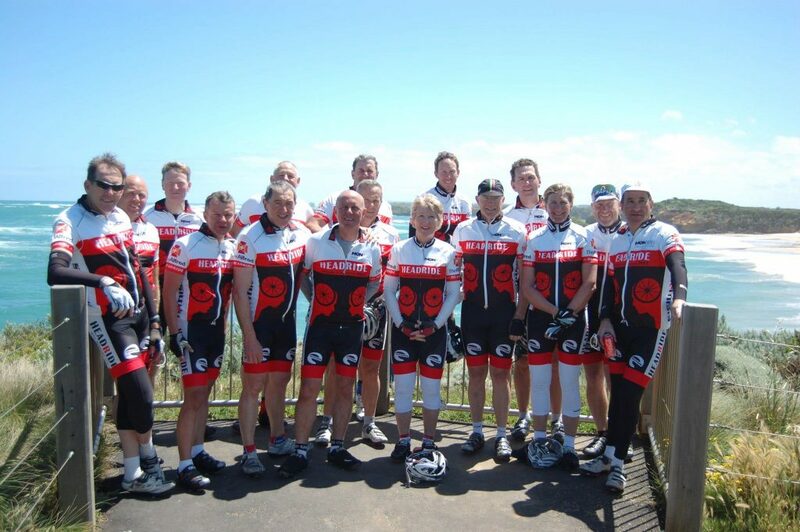 With careful planning and organisation, Marg brought many sponsors and sixteen riders onboard to participate in the Headride from Adelaide to Melbourne. The ride took over a year to formalise, but in October 2011 it all came together. 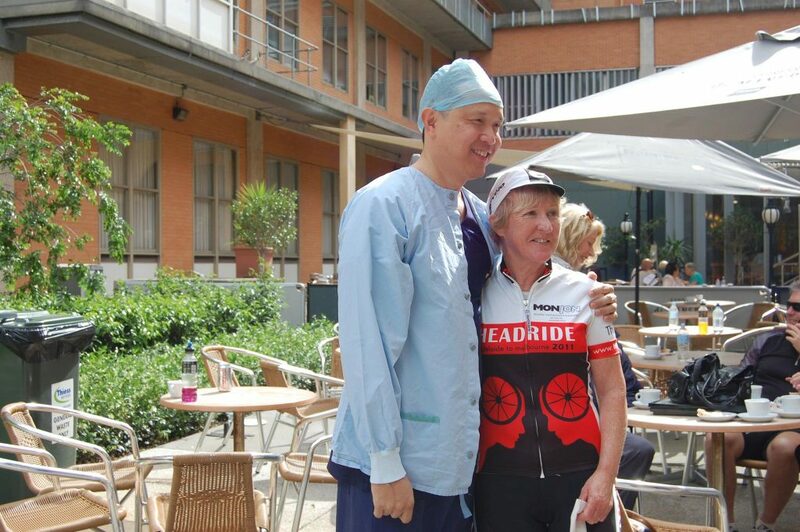 Marg and her support group raised $85,000 for the Alfred Hospital neurology department and connected a group of inspiring local cyclists who rode 1,100 kilometres over eight days. What an achievement! Marg got a real taste for community involvement in cycling through the Headride. After organising the charity ride she started volunteering at the Southern Masters Cycling Club. As the current Vice President of Southern Masters, Marg’s participation in all club events and involvement in the committee ensures the “oldies” of Melbourne have a place to be. 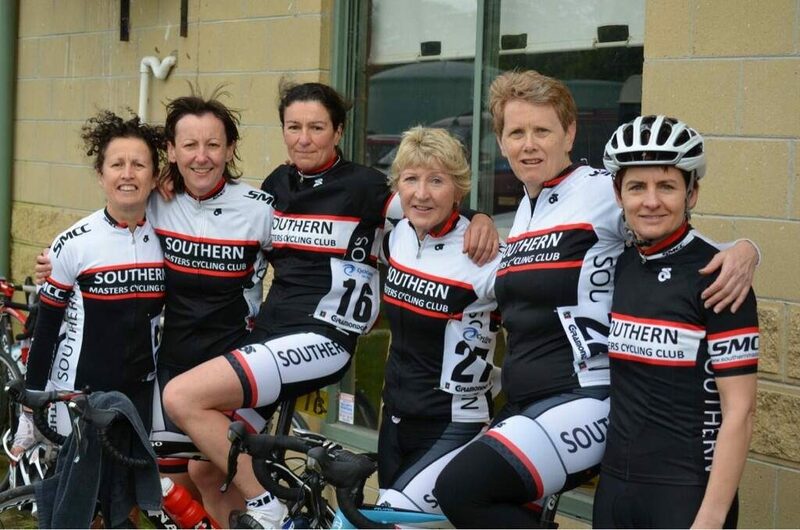 Southern Masters is a highly regarded cycling club and is currently the largest masters cycling club in Australasia. This is not surprising when people like Bill Upson, Linda Clucas, Rob Pol Bodetto, Janine Vavasseur, Carolyn Phillips, Wayne Watkins, Mark Gardner, Dave Kennedy and of course Margie Noonan are running the show. Whether it’s sitting at a registration desk on Thursday nights during summer, acting as a race commissaire on Sundays or just giving up her time to have a chinwag with a new member, Marg encourages racing and riding at local club level, as well as making sure everyone feels welcome. Marg has always been working hard to improve her riding and has had some notable results over the years. However, in late 2013 she started using a power meter in her training and it literally changed her world. She had heard a lot of talk about power and wattage, and being someone who’s always looking to get to that next level, she made the plunge by forking out the mini investment required. “What do I do now”, Marg said to the owner of Hampton Cycles, Damien Jones. Damien kindly pointed Marg in the direction of a professional cycle coaching company called The Hurtbox. With some guidance from the Hurtbox team, Marg pulled out some epic results in 2014. She won the Victorian Time Trial Championship for her age group, and then went on to win silver medals in the Australian National Criterium and Road Race. 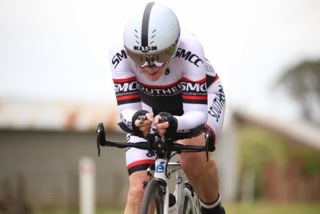 Finally, an impressive gold medal in time trial made her the Australian National Champion for Women’s Masters 7. With the 2016 World Championship in Perth firmly on Marg’s radar, she’s clearly not going to be slowing down anytime soon. The plan is also to stay heavily involved in Southern Masters Cycling Club, spending her free time supporting the local club activities. Marg’s community involvement, warm personality and proactive attitude is one in a million. At Bike Chaser we are certainly grateful for everything Marg has given back to the local cycling community and we wish her all the best in 2015 and onwards. Bike Chaser – Quick 5. 1. Favourite cyclist and why? Peter Sagan – immense personality who will pave the way for the future of cycling. – Keep your eyes and ears wide open – there’s always something to learn. – Don’t ride with people whom you feel uncomfortable around. – Don’t race in dangerous situations i.e. wet roads and out of control crits. Do some tempo riding on your own. 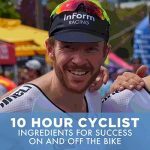 You don’t need to go out and smash yourself every ride. “I rode the Pyrenees in France 10 years ago, which included the Tour de France course. I loved it because the weather was magical, everyone loved cyclists in the region and the climbs at altitude were something I’d never experienced”. Specialized Amira with Reynolds wheels.